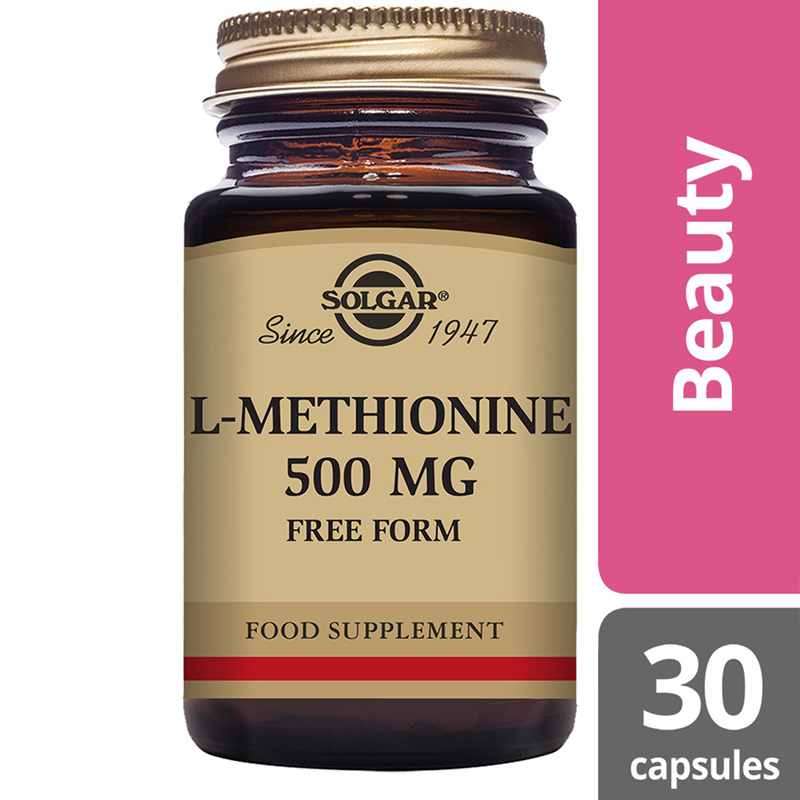 Solgar® L-Methionine 500 mg Vegetable Capsules is one of Solgar's premium-quality amino acid range products, containing L-Methionine, a sulphur-containing amino acid. 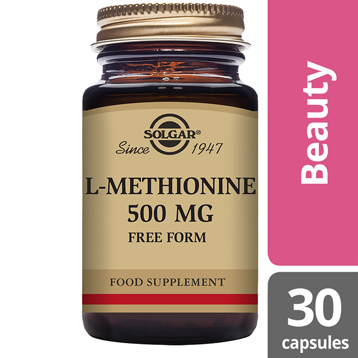 Amino acids are the building blocks of protein and are needed in several internal functions of the body. 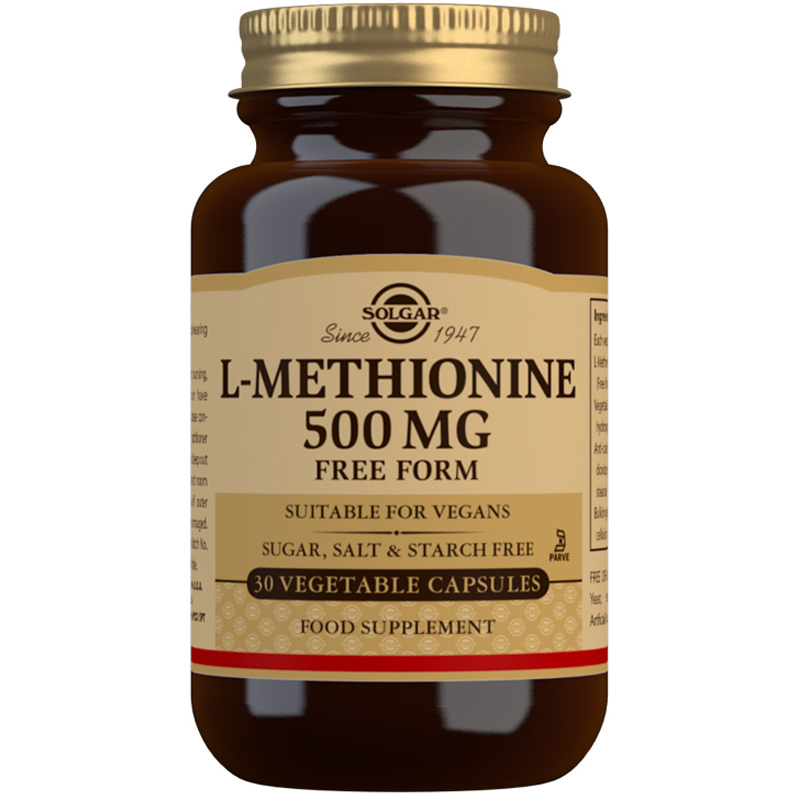 They are classified as "essential" or "non-essential", with essential amino acids meaning they cannot be manufactured by the body and must be supplied in the diet to maintain good all-round health. Amino acids can be further used by the body to create hormones, enzymes, neurotransmitters, antibodies and nutrient carriers. one (1) Vegicap daily with juice or water in between meals, or as directed by a healthcare practitioner.